Angle calculations a 72 0 21 0 Angles in a half turn = 180 0 Angles in a full turn = 360 0 162 0 b 135 0 Opposite angles are equal 153 0 c d e Angles. 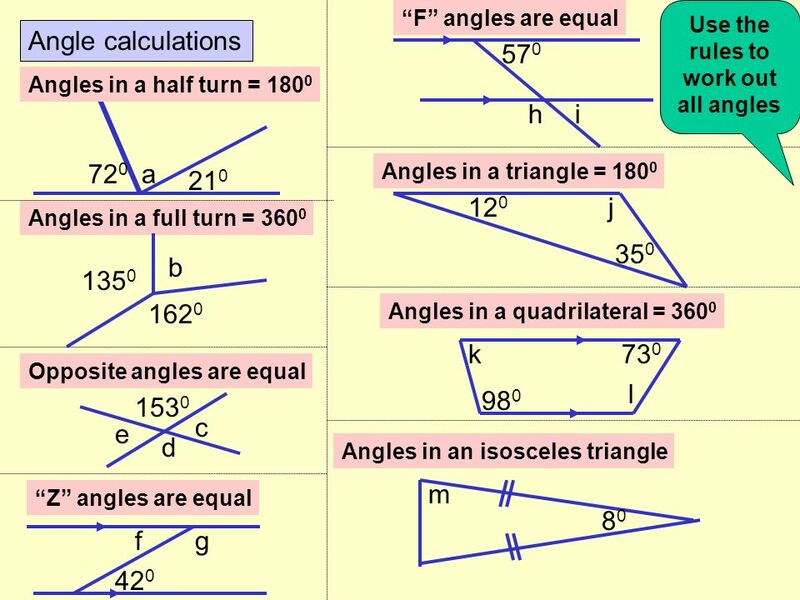 Download ppt "Angle calculations a 72 0 21 0 Angles in a half turn = 180 0 Angles in a full turn = 360 0 162 0 b 135 0 Opposite angles are equal 153 0 c d e Angles." 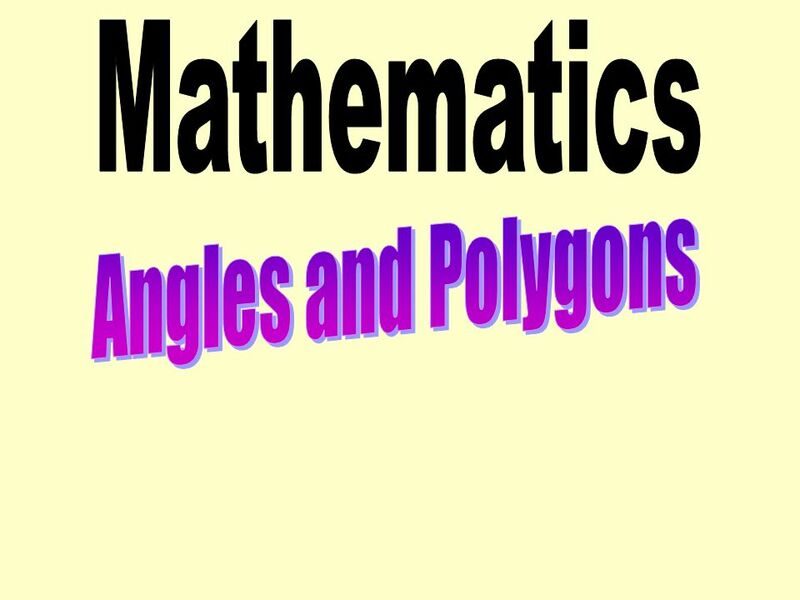 Find the polygon… Click on the polygon..
A polygon is a closed figure whose sides are line segments that intersect only at their endpoints. In a regular polygon , all the angles have the same. 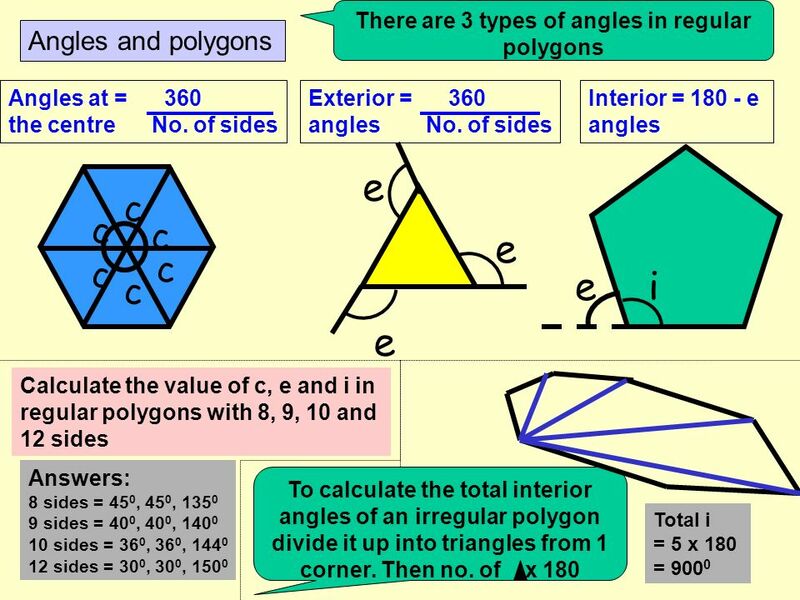 Unit 2 Polygons In The Plane. L.O.1 To be able to recall the 9 times table and use it to derive associated number facts.